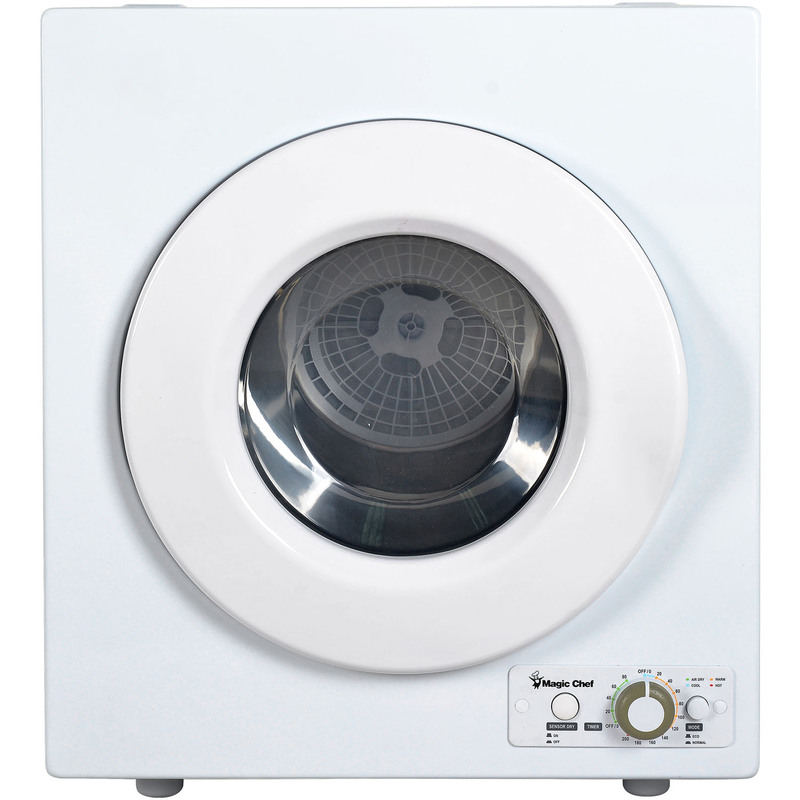 Dryer Interior Size Any4 cu.ft. - 5.9 cu.ft.6.0 cu.ft. - 6.9 cu.ft.7.0 cu. ft. and greaterLess than 4 cu. ft.
Width Any27 to 27 7/8 inches29 to 29 7/8 inchesLess than 26 in. 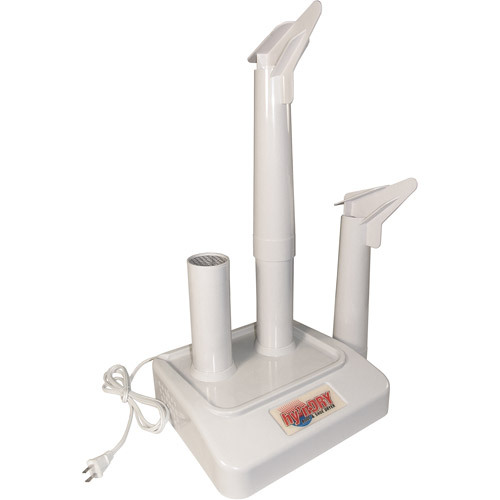 Ceramic heating unit produces natural thermal convection heat that naturally rises and circulates to dry boots and shoes quickly. Removes wetness and protects boot and shoes from damage and promotes healthy feet. Drip tray collects dirty water and keeps f loor clean. Won't tip or disassemble during use. Safe to use overnight - no moving parts or forced air. Constructed of tough, rustproof, easy-to-clean, fire resistant high temperature ABS thermoplastic. 55 Watt (120 Volt/60Hz). Dimensions: 12.6" x 11.2" x 10.1". Color=White This item cannot be shipped to APO/FPO addresses. Please accept our apologies We do NOT provide any installation services nor removal of old appliances. Delivery for large items is curbside only. 3.5 Cu. Ft. 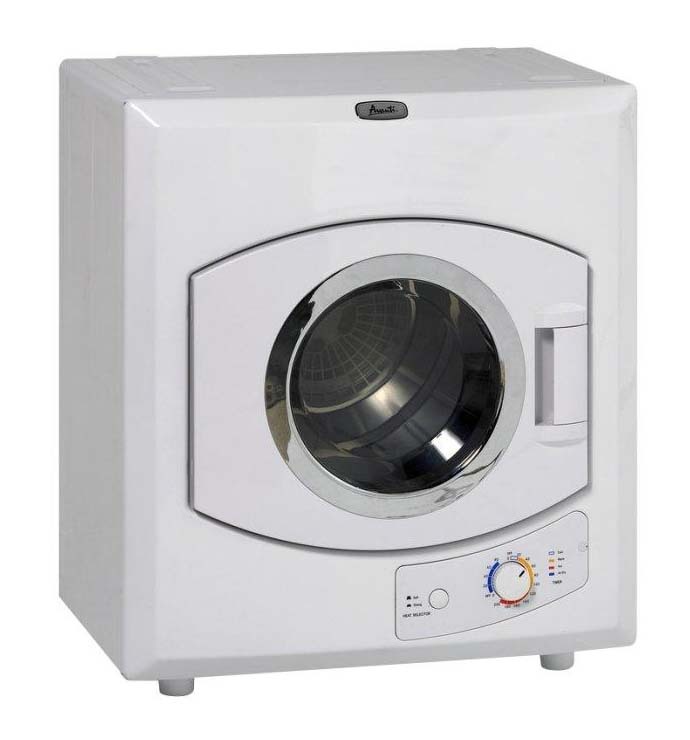 Compact Electric Dryer with High Speed Turbo Fan, Wrinkle Guard, Auto Dry. 3.5 Cu. Ft. 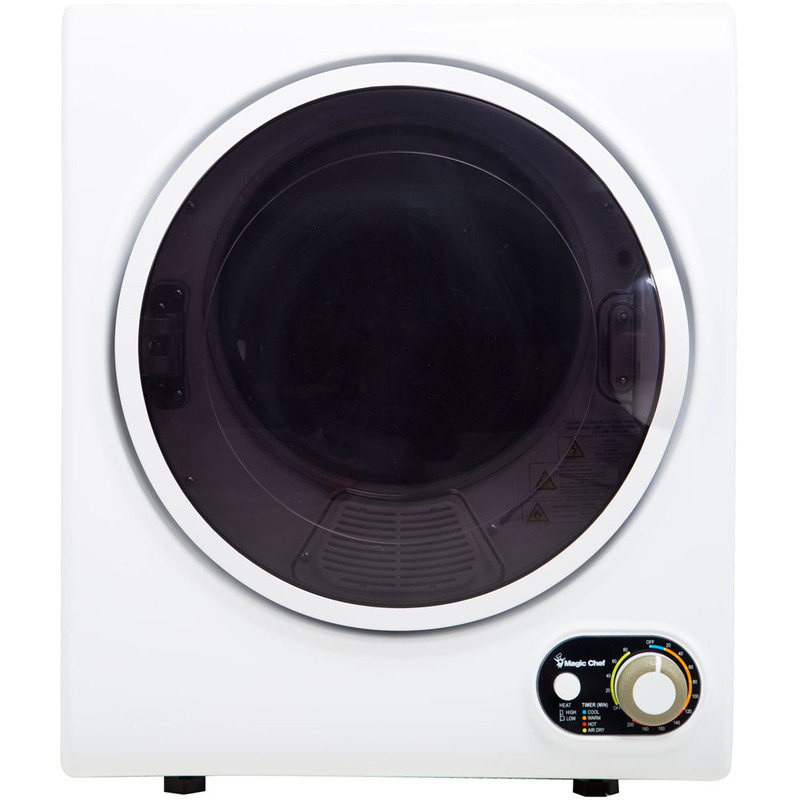 Compact Electric Dryer with High Speed Turbo Fan, Wrinkle Guard, Auto Dry. 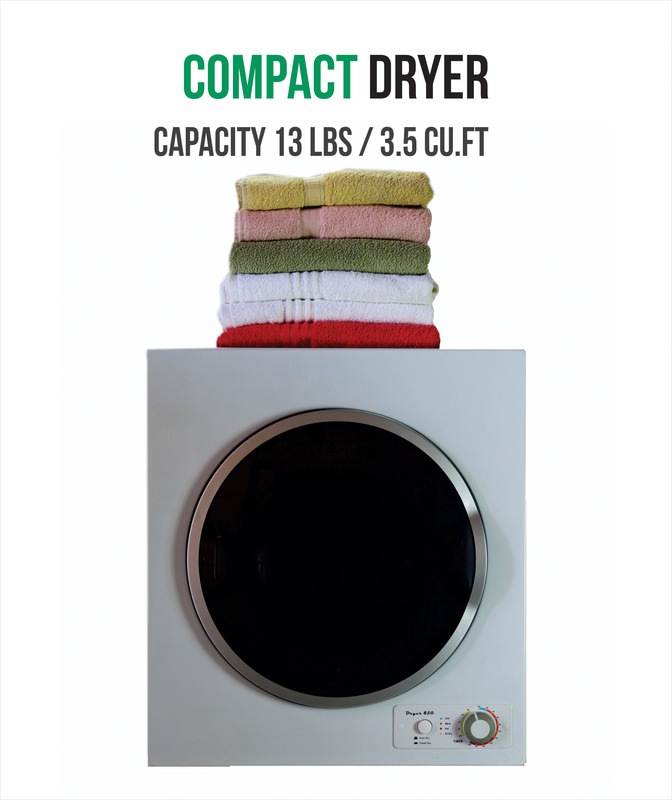 2.6 CF Portable Electric Vented Dryer. Electronic Control provides precise control of your appliance giving the confidence that it will perform with optimal results. Indicators show the operating status of the machine. 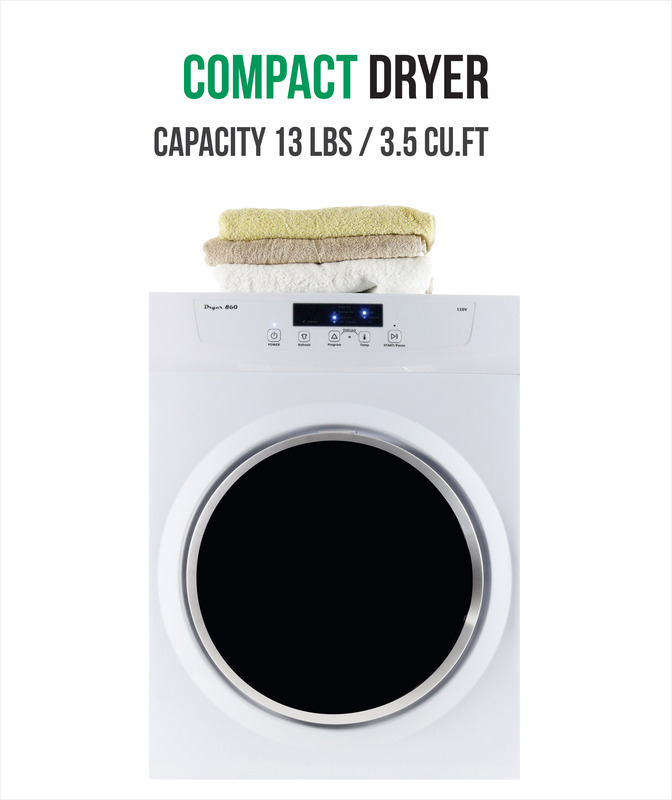 Wall Mountable portable dryer takes up no floor space with the option to mount on the wall and can be placed above a portable washing machine. Temp Dryness Sensor automatically determines when clothes are dry saving energy and protecting clothing from over-drying. More Easy-To-Use Features incude Zinc Coated Steel Drum Electronic Control 3 Auto Dry Cycles(Heavy Duty Normal Delicate) Timed Dry Cycle 5 Timed Dry Settings 3 Temperature Settings End-of-Cycle Signal Cycle Progress LEDs (Red) Check Filter Indicator Interior Lint Filter Uses a Standard 3-Prong Outlet Requires 120V 60Hz. 6ft cord. White. This item cannot be shipped to APO/FPO addresses. Please accept our apologies. We do NOT provide any installation services nor removal of old appliances. Delivery for large items is curbside only. We do NOT provide any installation services nor removal of old appliances. Delivery for large items is curbside only. A sleek and compact 24" wide, 3.5 cu.ft. 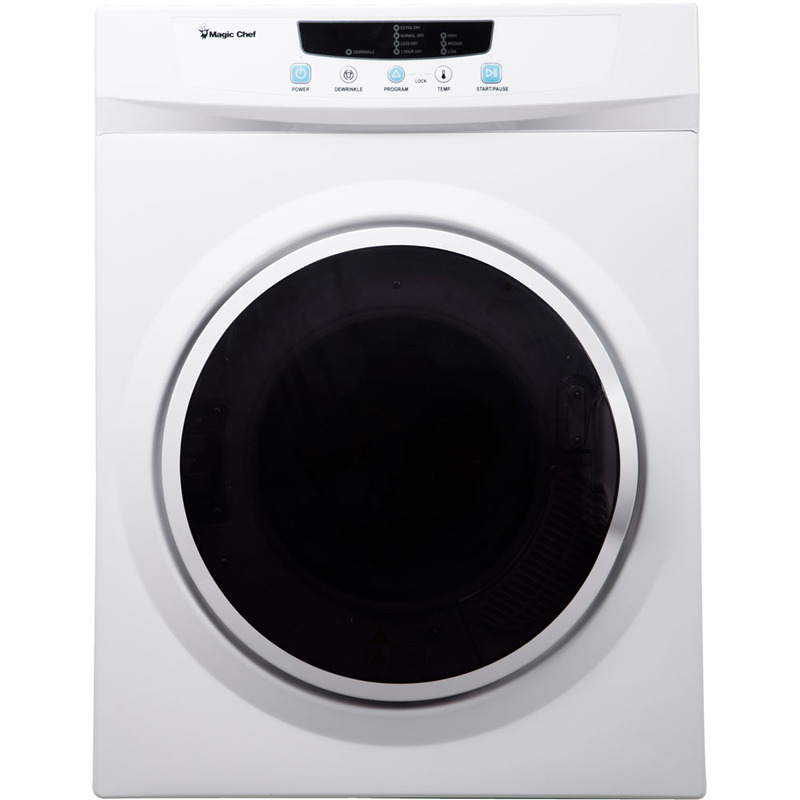 capacity, venting dryer with dual filtration system, optional sensor and time dry functions. Perfect for a side by side setup or over the washer unit.+ Stacking kit available separately.